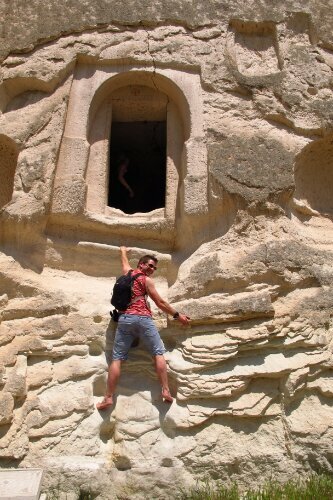 I can think of only one thing worse than kissing a frog to find a prince… and that’s kissing a pigeon to find a fairy, but that’s just how things roll in Cappadocia, Turkey. Having fostered a strong dislike for pigeons over the years, I found this tale especially hard to come to terms with. Pigeons (aka rats with wings) litter town centres across the UK with their filthy excrement while flying dangerously low, as if scoring points with their mates in the sky every time an elderly lady shrieks in fear or a gaggle of teens duck unnecessarily. They are ugly, menacing and downright dirty. And, unlike dirty burgers, dirty birds are not good. 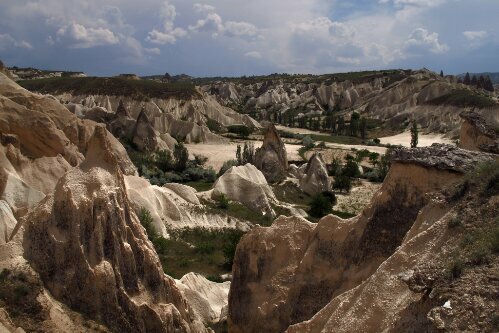 But in the beautiful, fairytale region of Cappadocia in Turkey, which boasts huge swathes of deep-cut valleys with phallic boulders and hills that resemble Mr Whippy ice cream, the pigeon is of upmost significance. Or at least it was. 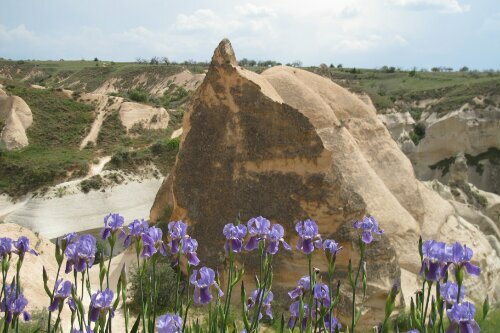 In a land where people created homes and communities in the caves they dug through the hills and inside fairy chimneys, pigeons were kept, loved and cherished. Little holes can be found across the hills where the pigeons were kept. 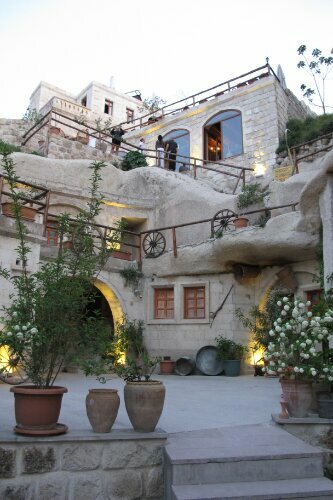 The story goes that once upon a time humans and fairies lived together in Cappadocia, but alas, they did not see eye to eye. However, against the odds one man fell in love with a fairy and they were determined to be wed. So the horrid humans hatched an awful wicked plan to kill all the fairies. They organised a fake wedding for the pair and sat all the fairies together so they could be easily killed. But just before the genocide was about to take place the fairies, realising something was amiss, all turned into pigeons and flew out of the windows. The horrid humans, on reflection of their ghastly behaviour, felt ashamed and embarrassed by their actions. So they built homes for the pigeons and looked after them very well… Until the tourism industry took off in the 1950s, that is, and then the pigeons sort of fell by the wayside. So as we wondered, cycled and climbed up the dusty paths surrounding the hilly caves, I tried to come to terms with the suggestion that pigeons might just be fairies. I tried to imagine their diseased feathers turning into pink, glittery wings and their crooked little feet with missing toes transform into dainty, tiny fairy feet. And the more I walked, and climbed, and looked, and saw, the easier it became to believe. Because after all, nowhere can be quite this magical and not have been filled with fairies at some point. So perhaps next time I am in Stevenage town centre surrounded by pigeons, getting dangerously close to me in the hope I may drop a smidgen of food, I will remember this story and see them in a new light. I don’t think I will kiss them though. After all, a fairy in Stevenage would not last long at all. 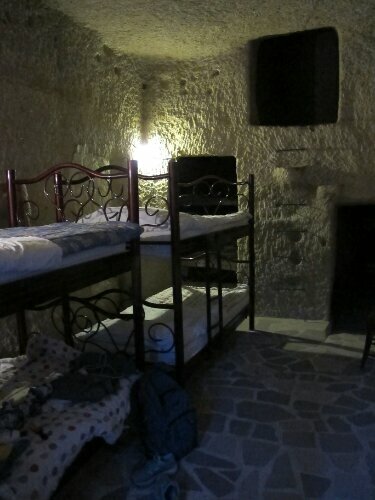 We stayed at the cavernous Shoestring Hotel, which has an amazing cave-dorm where a bed will set you back a mere 25 Lira (£10). Bargain. But more importantly, the staff are wonderful. 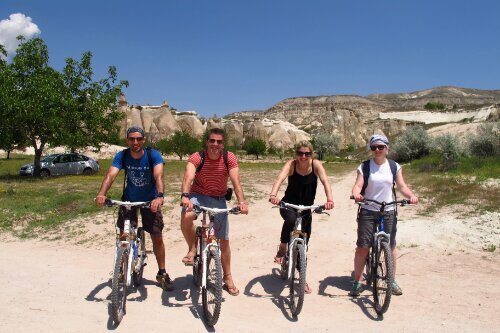 They helped us organise our onward travel and made quite a few phonecalls for us to save us from the terrible if-I-speak-louder-maybe-they’ll-understand-me scenarios. 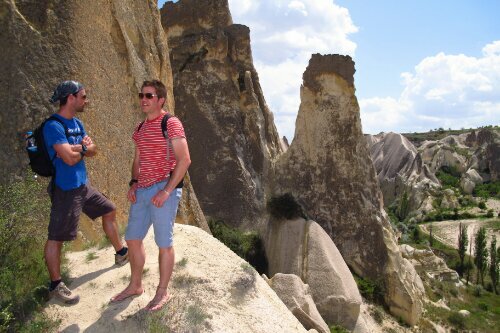 We took the night bus from Istanbul to Cappadocia – run by a company called Metro. 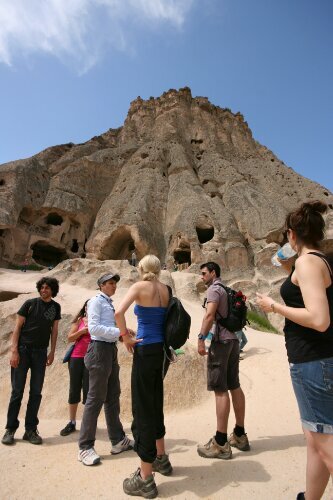 You can book it online but make sure it stops at Goreme (some will stop before that but provide a shuttle service – just be sure onward travel is included!) 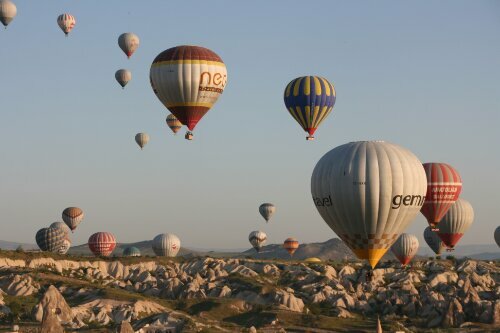 It was not clear online so we ended up booking one through an agent in Istanbul. It cost the same price as online – 65 Lira (about £25). It departs at 8pm and 10pm and also has a day service. The 10pm bus is quicker, and took about 11 hours. The buses are comfortable, and the seats recline quite far back… I slept well at least! There is also a hilarious ‘bus steward’ dressed in a dickie-bow who feeds you cake and pours tea for a midnight snack. 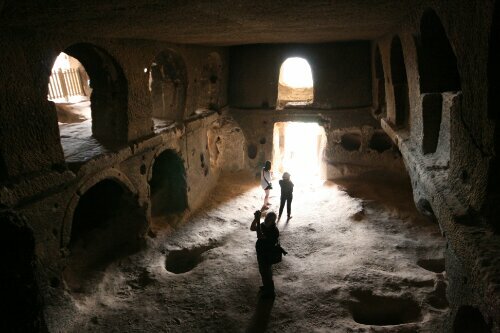 This entry was posted in Recent Posts, Turkey and tagged The Silk Road, Travel by Delia. Bookmark the permalink. Ha ha! Butler, you’re right – what was I thinking?! Filthier the better… Obvs. Thanks Jan 🙂 It is beautiful, I would highly recommend a visit! 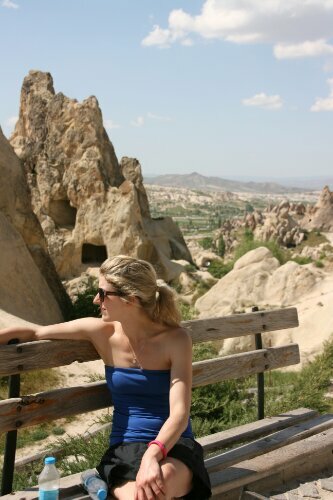 Thanks Anna, we adored it… Very beautiful corner of the world!